Standing on the sideline during an NFL game can be dangerous. One poor woman learned that lesson Sunday in St. Louis. Check out the video below. 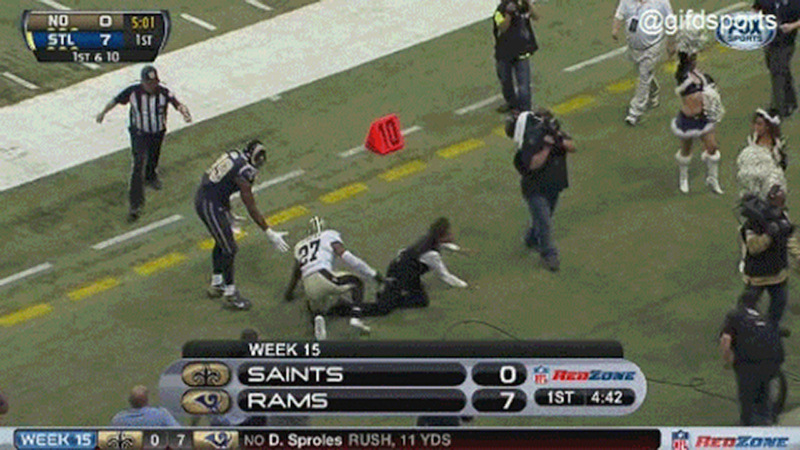 She did a great job of getting out of the way of Rams running back Zac Stacy. But right when she thought everything was going to be OK, Saints safety Malcolm Jenkins got pushed into her and down she went. It could have been worse, though. Remember what happened to a security guard in Jacksonville in Week 7?